The new Beauty and Holistic Lounge is set to open its doors to the public next month (February) in Water Street. 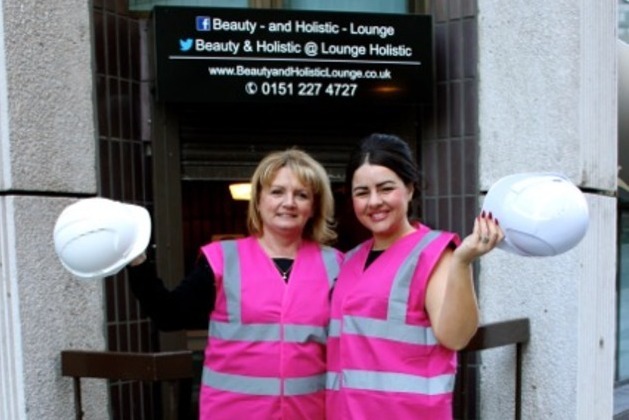 Originally established in 2007 by mother and daughter-in-law duo Karen and Lisa Graham, the leading Liverpool beauty specialists are moving from their former home on Fenwick Street to considerably larger premises. Spanning across more than 2,000 square foot, the new site has been given an impressive five-figure sum makeover during the past few months and the pair are excited to reveal the business’ new look to customers. Lisa said: “Since we first opened, our client base has grown from strength to strength, which led us to outgrow our previous venue. Therefore, it felt only right to relocate to a larger space and we are over the moon to have secured a site in such a prominent location. “To appeal to our current client base, which includes both female and male professions and well as the beauty savvy, we wanted to keep our services up-to-date, forward thinking and offer a little piece of paradise. In addition to providing a varied selection of beauty treatments that range from makeovers, manicures to professional tanning, Beauty and Holistic Lounge also plays host to its very own in-house hair salon. Karen added: “As a family run business, our new premises make us feel very proud of what we have accomplished in the past eight years. We will continue to put in sheer hard work and determination in order to further our brand recognition and reputation, and provide an unbeatable beauty service to both new and existing clients. The new Beauty and Holistic Lounge will open on Water Street on Friday, February 6.